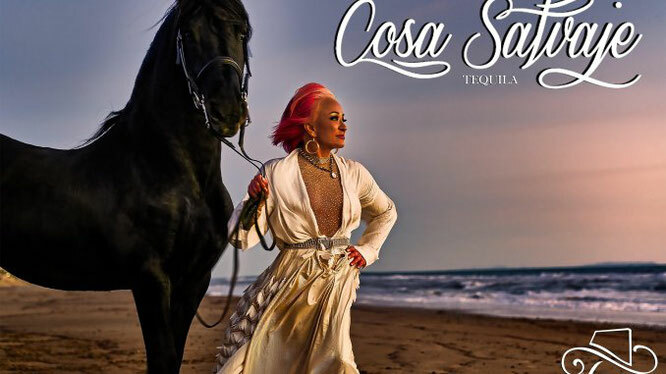 Tanya Tucker Launches Cosa Salvaje Tequila - Newhillbilly website. 100% American Roots Music. Cosa Salvaje is a silver spirit distilled by the family-owned Partida Distillery in Jalisco, Mexico from very mature Blue Agave plants, which results in a smooth, crisp taste. Stunning portraits for Cosa Salvaje by photographer Steven Lyon capture Tanya on a majestic Friesian horse on the sandy white beaches in Malibu, California. At the age of 13, Tanya captured the attention of the world with her breakout hit “Delta Dawn,” and soon became a household name as the youngest female to grace the cover of Rolling Stone. The headline, “You’re Gonna Hear From Me,” bolstered her into international stardom as she blazed a trail in entertainment as the original female country outlaw. Dubbed as the female Elvis, Tanyaachieved mainstream chart-topping success over five decades with 15 No. 1 hits, 41 top 10 hits and 23 top 40 albums. A 10-time Grammy® nominee, Tanya’s accolades include two CMA Awards, two ACM Awards, three CMT Awards and the prestigious ACM Honors Cliffie Stone Pioneer Award.